All riders are able to compete if they wish to do so. Dressage is the most popular discipline, with specific RDA tests for different types of disabilities. Many riders also compete in Countryside Challenge (a challenging handy pony-style obstacle course that can be ridden with or without a leader) and showjumping. All of these activities are available at regional and national level, and riders hoping to compete at the RDA National Championships must first qualify at the Regional Show. 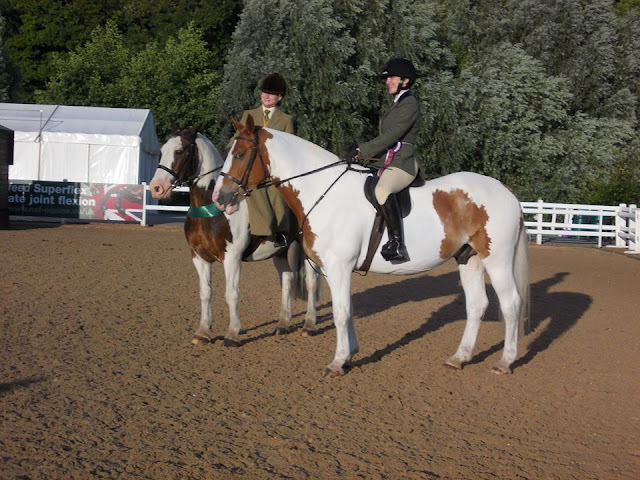 Cambs College riders also take part in vaulting and endurance competitions, and several compete in non-RDA dressage and showjumping, such as that offered by British Dressage, the Special Olympics and local able-bodied events. Despite its small size the Cambs College group has had great success in competitions at regional and national level. Read on to find out more! Grade 3 Championship test - 1st Eleanor Currington (Drunkeen Boy). Senior riders with one helper, leader or sidewalker - 1st Kodie Lawrence (Danny), 2nd Rebecca Lawes (Jola), 3rd Jodie Williamson (Jola), 4th Claire Cooper (Danny) and 5th Nia Watkins (Beethoven). July 2017 SEIB Search for a Star qualifier, Hartpury College, Glos. Lucy Warne - Lucy, an independent rider who represents Cambs College RDA, has been selected to represent Team GB at the 2019 Special Olympics World Games in Abu Dhabi.